UNDERWRITTEN BY COHEN AND WOLF, P.C. 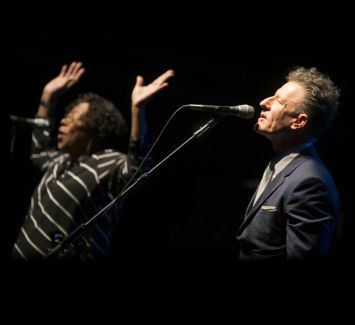 Over the past few years, since 2012’s Release Me, his most recent album of new material, Lyle Lovett has been in greatest hits mode. The Houston-area native and country and western/Americana music master has also been sticking to his characteristic regimen of hard-touring, playing shows in a variety of arrangements, from stripped down duo shows to the all-star lineup of his “Large Band” (which he’ll be bringing to town in August). Lovett, a four-time Grammy Award winner and renowned songwriter, has long buttered his bread with his ability to incorporate damn-near the entire spectrum of American music into his songs and performances. He’s a true Texas original and a singular voice. We speak from experience when we say that this is a concert you won’t want to miss.